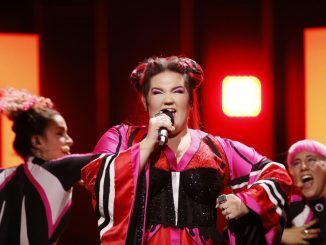 In the last aftermath article of the series, we look back at how the eventual winner from Israel, Netta won the contest, and in doing so, giving Israel their first victory in the contest in 20 years, taking their total win tally to 4. Arguably the biggest surprise of the Eurovision Song Contest 2018 was the top ranking for Austria. Cesár Sampson’s “Nobody But You” was on top of the scoreboard after the jury gave their points. And no one expected that to happen. The last three years, Germany finished at the bottom of the scoreboard at the Eurovision Song Contest. But in 2018, Michael Schulte brought the country back to the top, with a fourth place for his song “You Let Me Walk Alone”.